As we get closer to the release date (5/7/13!) of my Mary Tyler Moore Show book, Mary and Lou and Rhoda and Ted, I’m collecting fans’ memories and stories about what the show meant to them. Please share any of your thoughts in the comments below … I’d love to put them together for a series of blog posts when the book comes out to keep the discussion going. First up: Who was your favorite Mary Tyler Moore Show character? Did you love down-to-earth Mary? Relate to the witty Rhoda? Wish Lou was your gruff-but-kind boss? Tell me! 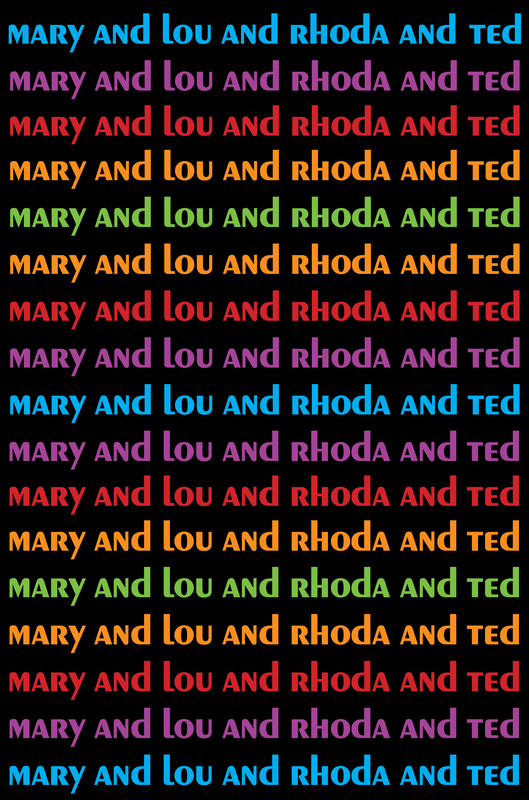 Who Wants a Free ‘Mary and Lou and Rhoda and Ted’ T-shirt? Rhoda’s mom, Ida Morgenstern was my fave because she was a typical impossible Jewish mother. In my first Mary episode that I wrote, “Rhoda’s Sister Gets Married,” Rhoda drags Mary to New York to act as a buffer to prevent Rhoda from getting into a fight with her mother. The results were funny and sad. Rhoda is my second fave Mary character because I identified with her was the kooky not pretty, but funny friend.